First of all, we would like to provide your with an update on our rewards: There was great demand for our rewards, so they soon became unavailable. 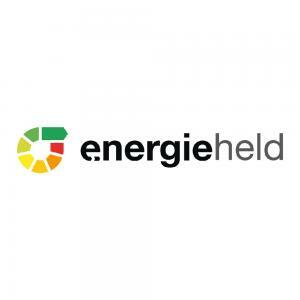 To help Companists save energy and benefit from their investment in energieheld in two different ways, we have increased the number of rewards! Moreover, we have recently met with two of the most renowned experts from the German energy industry. Both of them are highly familiar with the German energy market and are able to evaluate the developments and existing potentials in the area of energy-efficiency modernization of buildings very well. Uli Huener is chairman of the advisory board of EnBW New Ventures and as innvations manager he used to be responsible for developing new areas of business and new business models at EnBW (a major German energy supplier that generated over €21 billion in revenues in 2014). For this purpose, EnBW founded EnBW New Ventures, which invests in promising start-ups and develops and promotes new business models. Prior to his work at EnBW, Uli Huener served as the CEO of Yello Strom (a German energy supplier) and has gained more than 25 years of international work experience in the areas of IT, telecommunications, and energy. We met with Uli Huener to talk about the market, customers, and our platform. Sascha Müller-Kraenner has been the managing director of Deutsche Umwelthilfe (a German NGO focusing on environmental protection) since early 2015. A graduate in biology, he has been a member in international committees on environmental policy for several years and started his career as an advisor to the Saxon State Parliament. After different jobs at Deutscher Naturschutzring (an environmental protection association) and Heinrich-Böll-Stiftung (a political foundation), he started supervising the European program of The Nature Conservancy (TNC). Sascha Müller-Kraenner is also the co-founder of the interdisciplinary Ecologic Institut EU organization in Berlin, which has been doing ecological research since 1995, is conducting political analyses, and serves as an advisory body. We met with Sascha Müller-Kraenner and talked about climate protection, customer issues, and the usefulness of energy-efficiency modernization of buildings.